Workers’ compensation claims arise when an employee is injured while doing something they are required to do for their job. This is commonly referred to as, “within the scope of employment.” If an employee was acting outside his/her official duties or acting negligently, this may eliminate or reduce an otherwise valid workers’ compensation claim. However, if an employee is not at fault and injured on the job, the employer will likely have workers’ compensation insurance to help pay the employee while he/she is away from work due to the injury. In certain circumstances, death benefits may be available to an employee’s surviving family. The idea behind this is that the employee is not able to participate in gainful employment due to an injury that occurred at his/her place of work. The employer, who is “responsible” for the employee while he/she is at work, must possess workers’ compensation insurance in order to provide the injured employee with financial support if and until they can resume working. The employee will likely be entitled to a substantial portion of the wages he or she would otherwise be earning, but for the injury. A private insurance agency, or sometimes the employer itself, will pay out to the injured employee. Workers’ compensation insurance covers most employers, with the noted exceptions of independent contractors or certain government, railroad, or shipyard employees. Time is of the essence in Workers’ Compensation claims. Pennsylvania law requires that injured employees notify their employer of a workplace related injury within 120 days of the injury to be eligible for benefits. 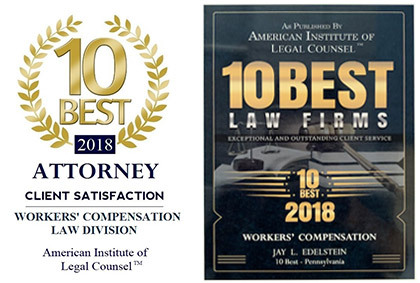 Having an attorney to guide you through the application process can significantly improve your chances of succeeding in your application for workers’ compensation benefits.